Are you looking for an e-cig which delivers nicotine in a fine way? 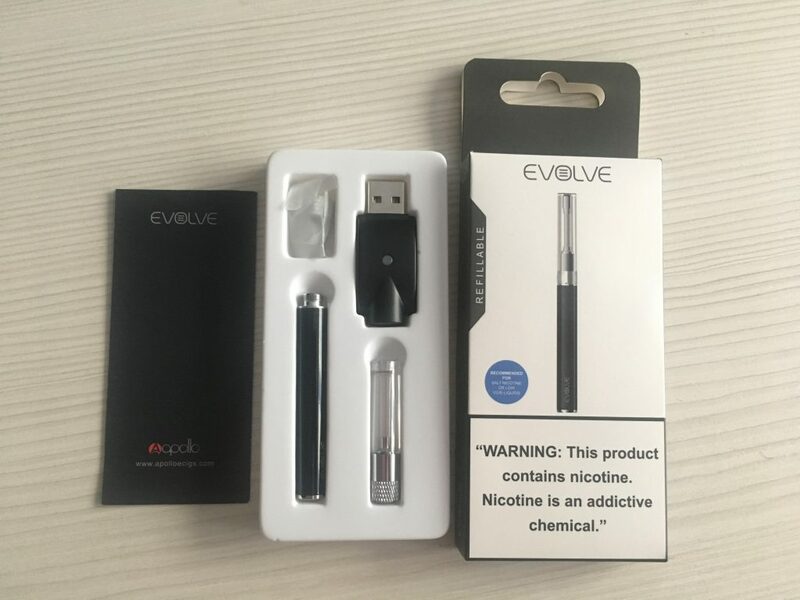 Apollo evolve kit is the right choice for that. It’s unique in the sense that it uses new technology. It can house both “50/50 PG/VG and Salt Nicotine”. It’s extremely light weight to be carried around with you all day. Apollo evolve kit has the capability to utilize 2 coils. The size of the coil can be 2.5ohm and the other can be 2.9 ohms. The cartridge is refillable. It’s portable and comes with a USB charger. This allows you the facility to charge it anywhere you want. The device is extremely lightweight. It weighs only 41 grams. It’s easy to use. The tip has a light which flashes to tell that the battery is low. 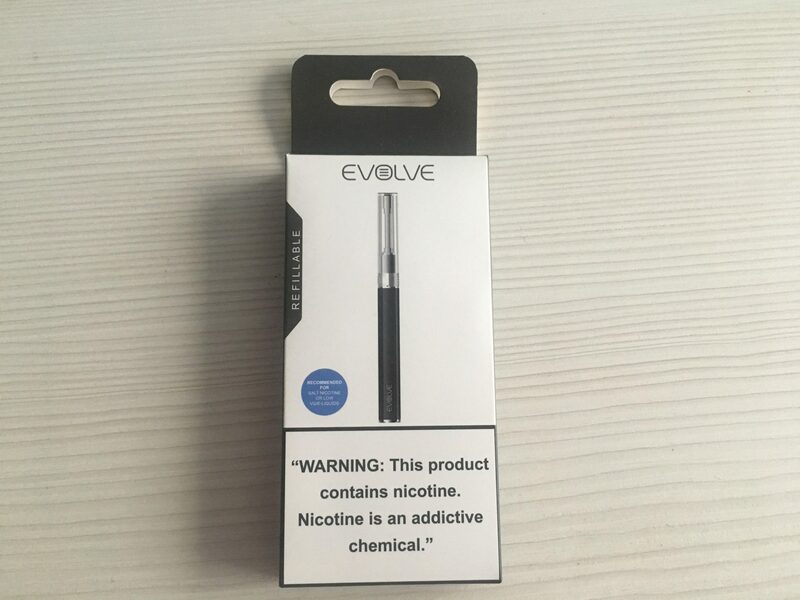 The Apollo evolve e-cig is designed to be used with salt nicotine juice as well as 50/50 blends. The battery has a capacity of 150mAH. The coils are replaceable. The device is small and basic which ensures the level of convenience one can have with this e-cig. Apollo evolve e-cig looks like a real cigarette but it’s more stylish because of its sleek design. The base is black while the top is transparent which lets you see the juice inside it. Its small enough to easily fit inside your pocket and is not like the other vaping devices that are popping out of your pockets. It lets you be discrete if you are going to a public place. An e-cig that uses both 50/50 PG/VG and Salt Nicotine. The box says that it has nicotine whereas the e-cig does not have nicotine; the juice you put in might or might not have nicotine. It does not have any complicated buttons. All you have to do is inhale to get vaping. The battery is not long lasting. It is leak-proof. The flavor changes after 45 minutes from start time. The coils last longer than usual When the juice comes into contact with the coil a popping sound comes. The device is extremely stylish and presentable. 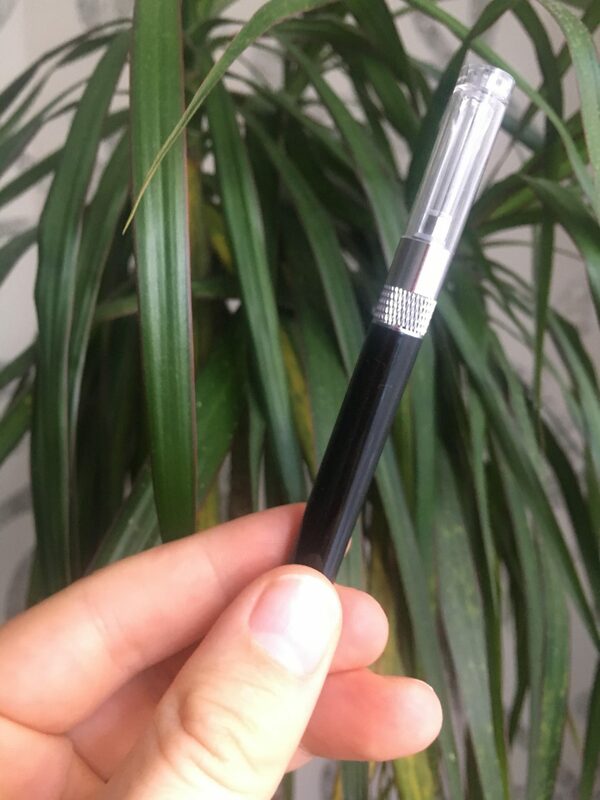 Its unique design is somewhat similar to a cigarette and has the option of having nicotine in it. That is optional. You can use the liquid which has nicotine or you can use a liquid which is nicotine free. It’s totally up to you. The two coils have a longer life which makes your life easy. You don’t have to go through the tedious process of changing the coils again and again. It has a USB charger in which you take the battery out and then charge it. As it is always stated to take out the battery and then charge it because it is safer and doesn’t harm the life of a battery. The Apollo evolve e-cig is extremely lightweight so you don’t have to worry about tiring your hand while vaping. Some people buy two kits as it comes at a low price so that they don’t have to worry about the battery time. When one e-cig dies out you can put it on charge and use the other one in the meantime. Lastly, the e-cig is enriched with flavor.